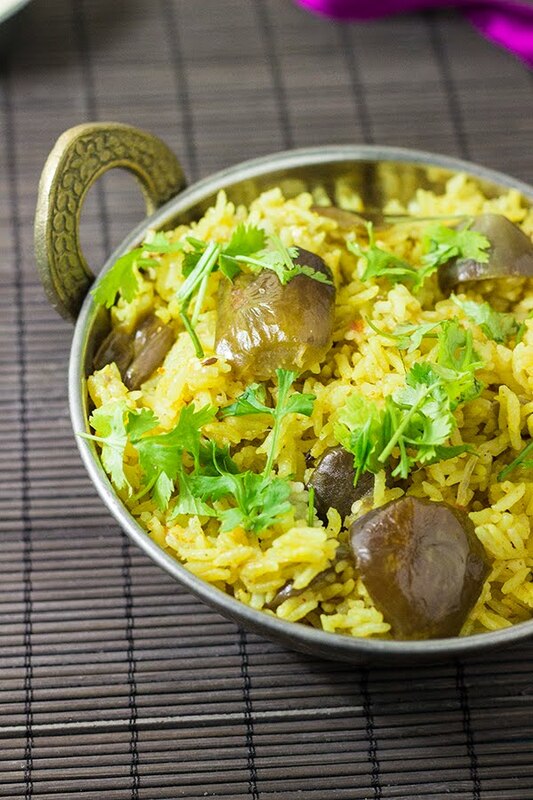 Vangi Bhaat or Eggplant Rice Pilaf is perfect for those weeknights when you are tilting towards ordering that pizza or planning to drive to the closest restaurant for that greasy take out but your head is making you feel guilty over that restaurant food. Isn't it true that we all get burned out sometime? All that going to work, doing the laundry, dusting the house, exercising and cooking.... seriously tires me out. Sometimes a little retail therapy aka shopping is what helps ease all that stress. Thank heavens for those little pleasures of life !! Vangi Bhaat is always my GO TO dish when I'm not in the mood for too much of work and I want something home cooked, quick to make and as comforting as rice. It sometimes takes less time to come home and make Vangi Bhaat than wait for my take out at restaurants. And I know what goes in it and I can tweak it to my liking. And to add to it, it is a ONE POT recipe. Just one pot to wash, HURRAY!!! There are absolutely no more excuses to not make it anymore - Quick, Tasty, Healthy and less pots to wash. What more can one ask for, right? 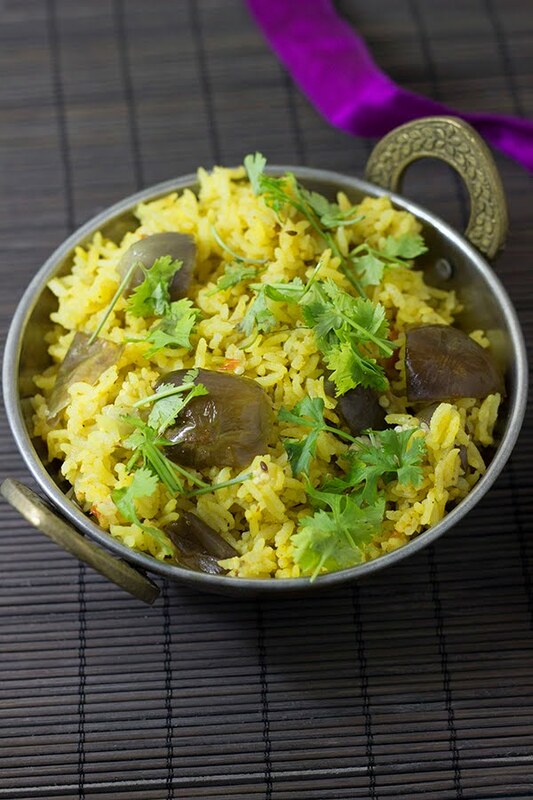 Vangi Bhaat is rice cooked with brinjal or eggplant along with some basic spices. Toss in everything in a pot and cook until the rice is done. 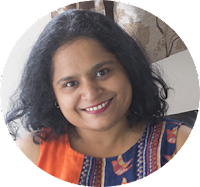 I use a pressure cooker and I recommend it as it cuts the cooking time by half. I usually pair it with some cooling mix vegetable raita. 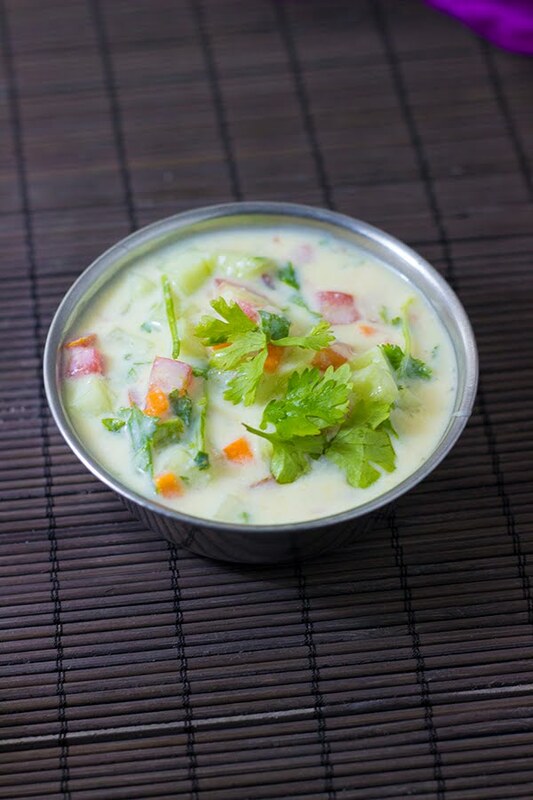 The raita can be made while the Vangi Bhaat is cooking away. 1) Wash the rice in sufficient water. Drain and set aside. 2) Roughly chop the onion, tomato and the brinjal. 3) Heat oil in a pressure cooker or a deep pan. 4) Add the cumin seeds. 5) Once they brown slightly, add the onions and fry until translucent. 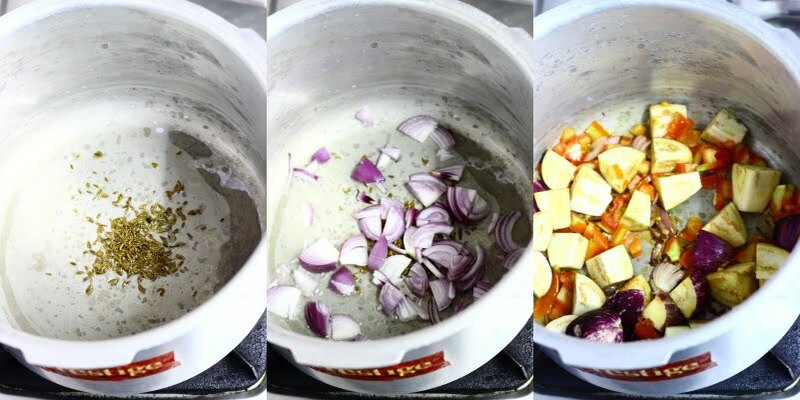 6) Now add the tomatoes and brinjal and fry for 1 minute. 7) Add water, all the spices and salt. If you are not using a pressure cooker, the quantity of water may vary. Adjust accordingly. 8) Add the rice and cover and cook until the rice is done. In a pressure cooker, that will take you around 3-4 whistles or approximately 10-12 minutes. 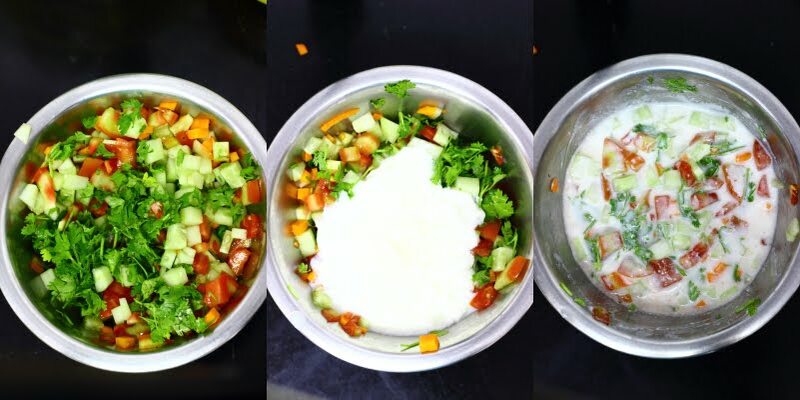 10) To make the raita, just mix all the ingredients well. 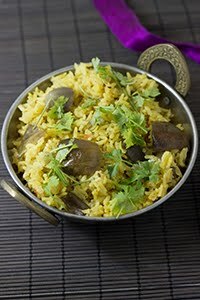 Vangi bhaat is rice cooked with brinjal or eggplant and a few spices. It is vegan and gluten free. Wash the rice in sufficient water. Drain and set aside. Roughly chop the onion, tomato and the brinjal. Heat oil in a pressure cooker or a deep pan. Once they brown slightly, add the onions and fry until translucent. Now add the tomatoes and brinjal and fry for 1 minute. Add water, all the spices and salt. If you are not using a pressure cooker, the quantity of water may vary. Adjust accordingly. Add the rice and cover and cook until the rice is done. 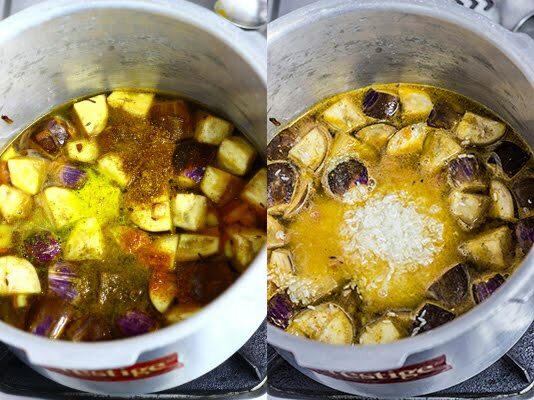 In a pressure cooker, that will take you around 3-4 whistles or approximately 10-12 minutes. To make the raita, just mix all the ingredients well.